Whether it’s large initiatives like Homeless Connect and Festival of Trees or small initiatives such as the Partnership Gallery, the Edmonton Convention Centre and its employees are always looking for ways to give back to our community. For the past two years a number of unclaimed bikes have been left on our property. Instead of discarding the bikes, our Event Services Manager Richard Hossinger and Chief Steward John Omayayi looked for ways that these bikes could be refurbished and given back to local Edmontonians. 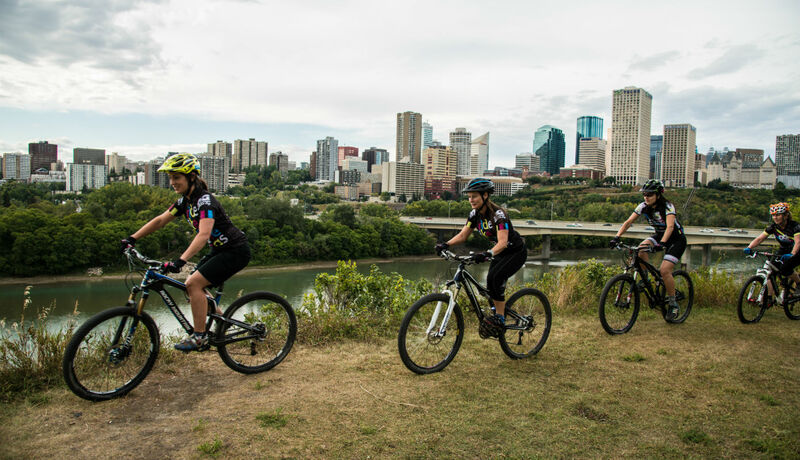 They reached out to the Edmonton Bicycle Commuters Society (EBC) , a non-profit organization that works with children, youth and adults to make cycling accessible for everyone. 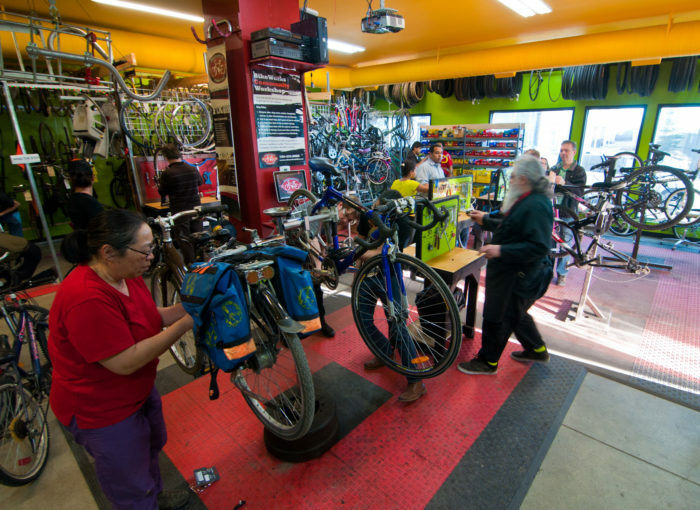 EBC refurbishes donated bikes, and rents or sells them at affordable prices to Edmontonians. Thanks to the efforts of Richard and John, ten bikes were donated to EBC.